University is an investment – there’s no doubt about it. The cost of tuition, books, residence fees or rent, food, monthly bills, clothing, and entertainment can add up quickly, so having a plan for financing your education is essential. Student loans and bursaries are two options you may want to consider. If you’re a Canadian citizen or permanent resident of Canada, you may be eligible for a student loan. Student loans offer two big advantages. First, the government will pay the interest on your loan as long as you’re a full-time student. Second, you’re not required to begin repaying your loan until six months after you graduate (or you cease to become a full-time student). If you’re a BC student, apply for a loan online through StudentAidBC. If you’re coming from another province or territory, apply through your provincial or territorial lender. If you’re a US citizen, you’re eligible to apply for a direct loan (direct subsidized and/or direct unsubsidized loan). It can take a while for loan applications to be processed, so we recommend applying at least six weeks before the term starts to ensure funding is available in time. If you’re a Canadian citizen, permanent resident of Canada, or refugee, and you have unmet financial need even after applying for a student loan, you may be eligible for a UBC bursary. If you’re interested in a bursary, we recommend submitting a student loan application by July 15 to ensure that your student loan is confirmed by the bursary application deadline of September 15. 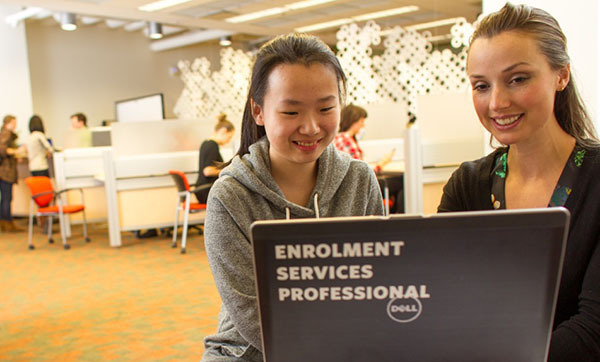 If you have questions about financial planning or financial aid opportunities, UBC can help.